Ballast (n): An attribute that tends to give stability in character and morals, something that steadies the mind or feelings. At Ballast Point we believe that relationship is paramount to everything we do. We don’t just build beautiful houses – we build connection and trust. Building a high quality, luxury home is part skill, part experience, part care. That’s why Ballast Point are not just builders, we are passionate collaborators. 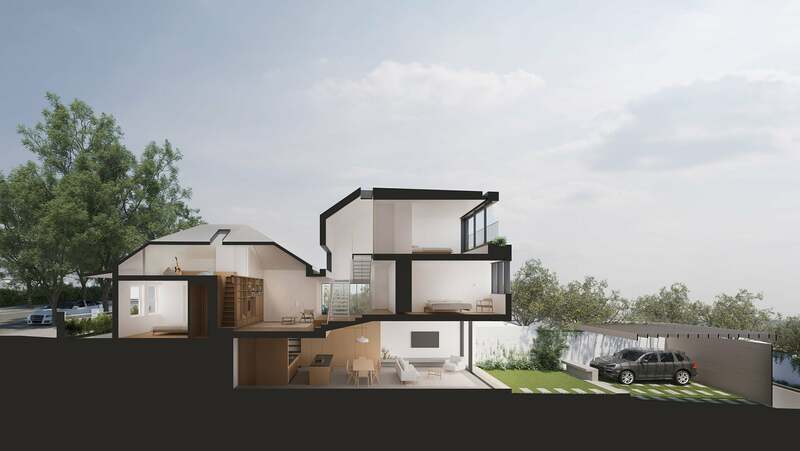 A brilliant design which reimagines a Balmain brick cottage as a modern family home by Andrew Burges Architects is being turned into a stunning new family residence by Ballast Point. Avoca Street House by Ballast Point and Ben Giles Architect. By respecting, supporting and collaborating with our clients and architects we form friendships that go beyond the life of the build. Renovating my flat was a daunting task for me, Mat took the time to clarify my options to get the most value. He kept me informed at each step of the process and took care of everything. Ballast Point provide a professional building service where no challenge is too great and their ability to collaborate and discuss alternative solutions has been greatly appreciated. Features of the build that we have been very happy with, have been the quality of workmanship, the attention to detail, and the availability of both directors and the foreman to discuss any issues. Mat’s knowledge of fine architectural detailing, construction best practice and his ability to solve seemingly any problem is outstanding. We found the construction and budget report produced by Ballast Point to be very thorough and extremely useful in helping further our renovation plans.